Once I remember who put this on my “must-see” list, I’m going to send them the bill for my new hearing aids. 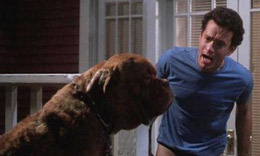 WHY DOES TOM HANKS YELL THE ENTIRE MOVIE?! 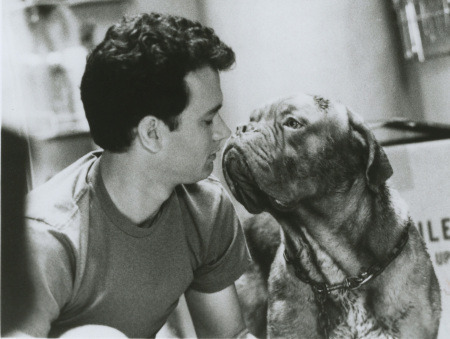 I mean, there are some cute things about this movie like a young Tom Hanks wearing briefs and yelling a lot at a slobbery dog. But I’m not going to pretend that I didn’t spend 90% of the movie browsing Pinterest. No shame. Awwwwww… Now, back to browsing Pinterest.